This image was painted as a cover for a card game series. I wanted this image to feel intense, so I used fairly warm colors for the palette. The pose of the firefighter is much more dynamic than my usual figures, so that was very fun to tackle. 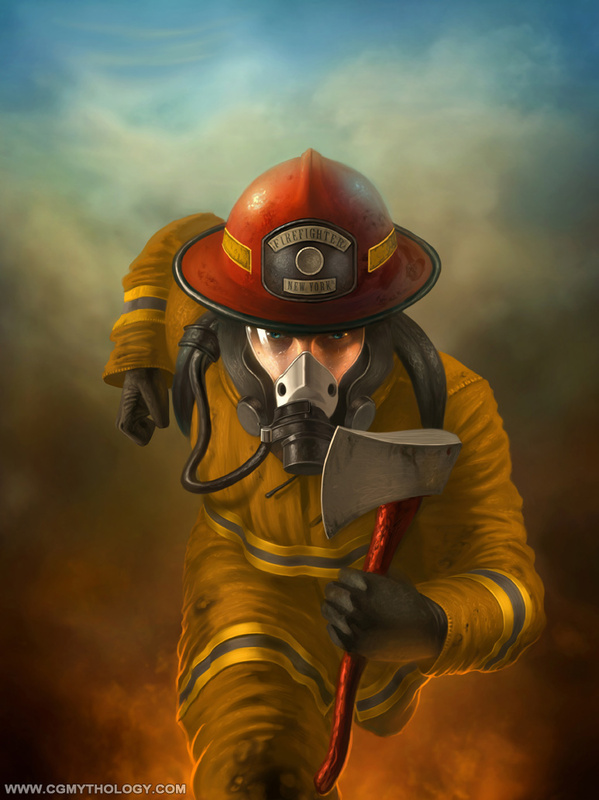 I painted a ton of firefighters for a previous project as well, so I had a very solid understanding of the subject matter which helped the painting process go by very smoothly, thankfully.